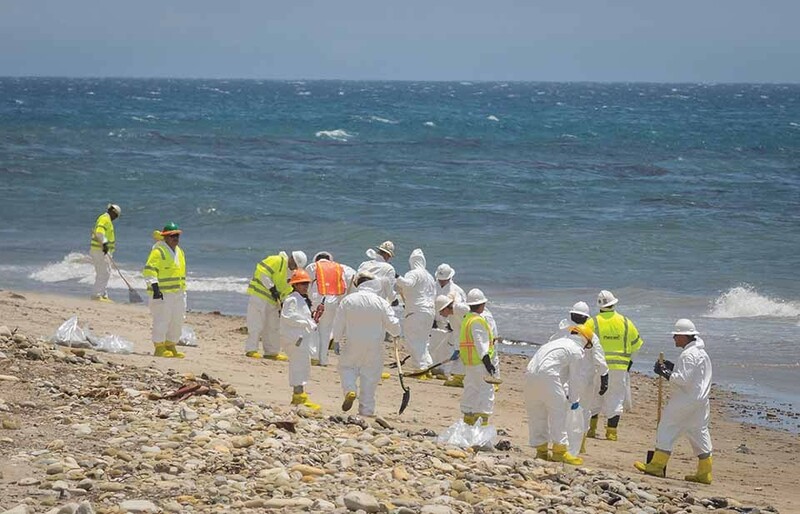 Workers donned protective gear clean up the oil spill at Refugio campgrounds. 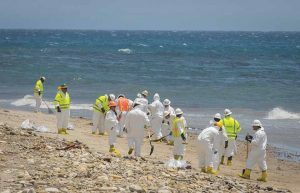 While the cleanup of the Refugio oil spill is progressing, albeit slowly, the politics of petroleum extraction have overtaken events on the ground. Sen. Hannah-Beth Jackson and Assemblymember Das Williams have called for new rules for oil pipeline safety. In Ventura County, Supervisors Steve Bennett and Linda Parks have questioned the future of oil production in the area, with the result that public meetings on the future of extraction are now on the docket. A ballot initiative in Santa Barbara County that restricts oil operations is likely for 2016 and efforts to extend Ventura County’s SOAR growth curbs have gotten a shot in the arm. But the region’s politicians should be measured in their response — particularly when it comes to initiatives and regulatory actions that extend beyond the immediate causes of the Refugio spill. During the past two decades, we’ve seen how severe limits on growth and development force head-of-household jobs out of the region, push housing prices to unaffordable levels and leave behind tourist enclaves where wages are low and future opportunities are extremely limited. In Ventura County, increased tourism and agricultural output mean that two industries with extremely low wages are growing while manufacturing and tech remain constrained. That leaves the best paying jobs in the government sector, with the added burden of public pensions to be shouldered by the few remaining businesses, plus tourists and property owners. The Refugio spill is an opportunity for Santa Barbara and Ventura counties to rethink the role of extractives in our future. And to safeguard against future spills. But simply extrapolating the discussion into social justice issues or broader growth and development curbs is to invite more economic inequality, not less. That’s why it’s incumbent on community and business leaders to take a deep breath, consider unintended consequences and speak up as the fallout from Refugio spreads wider and wider into the political mainstream. We’ll give a quick shout out to Sonos, the wireless Hi Fi pioneer that’s now the biggest single office tenant in downtown Santa Barbara. During the past year, Sonos has worked with Traffic Solutions and the Santa Barbara County Association of Governments on a robust bike-to-work program. The program includes a bike share program and a way to earn $600 toward a new bike for employees who commit to biking regularly. The program eases congestion, reduces carbon emissions and it goes without saying that the health benefits of biking to work are huge. For its efforts, including a partnership with retailer REI to offer free bike tune-ups, Sonos received an award from SBCAG in late May. Meanwhile, Traffic Solutions has created a commuter tracking tool called SmartRide.org that can help any business advance a commuter program.